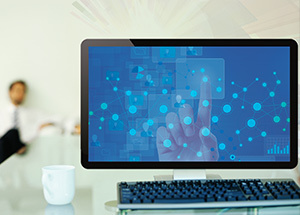 This is the first article in a two-part series that provides an overview of case management software, which helps fraud examiners manage their workloads and digital information. 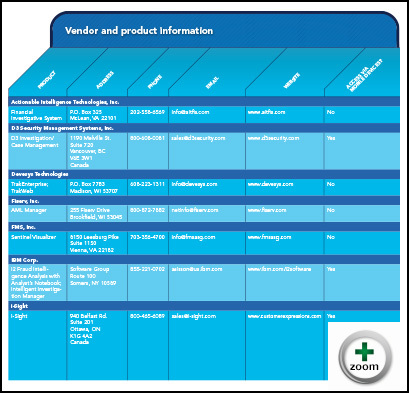 The series includes basic information on 15 products in this genre. Part 1 introduces three members of the ACFE faculty, who offer strategic and tactical tips on selecting and using a CMS. 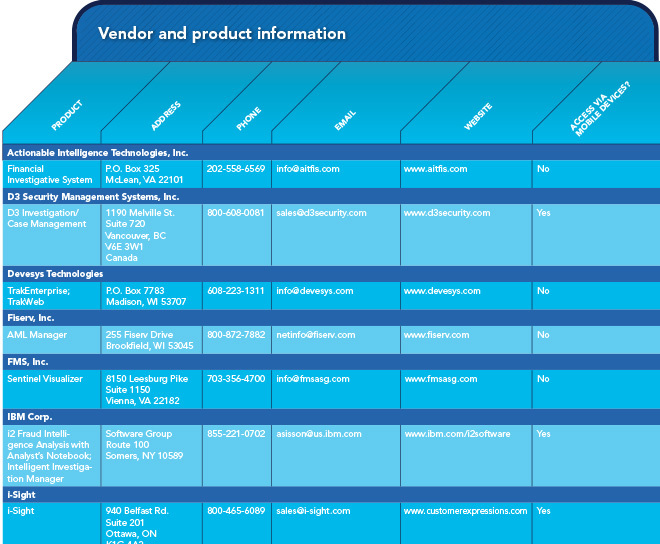 Separately, the first article presents brief descriptions of products that seven software vendors offer. Part 2 will include further commentary from these CFEs and separate descriptions of CMSs that eight additional vendors produce. Numerous case management systems are available to help fraud examiners perform these functions better and more easily. Some specialize in reactive functions, while others focus on proactive tasks; several do both. However, because of space limitations, this series will discuss only case management systems that perform reactive, investigation-related functions. For the same reason, the series won’t provide pricing information for any of the systems it covers. Disclaimer — This two-part series is a product of the author’s good-faith efforts to provide an unbiased overview of case management systems for fraud examiners. Neither the coverage nor any gaps in its scope and depth necessarily reflect the author’s views or those of the Association of Certified Fraud Examiners. (And the ACFE, its executives, Board of Regents and employees don’t necessarily endorse these products.) The software program descriptions in this series are based on material the vendors provided. Because neither the author nor the ACFE tested these products, neither he nor it provides any explicit or implied warranty of the accuracy and completeness of the product descriptions in either article in this series. Think back over your career. You might have had the good fortune to serve on an exceptional investigative team during your fraud examinations. You and your colleagues’ skills and dedication surely were major factors in its successes. But management and collaboration likely were just as important. The best teams excel at deploying and coordinating their often scarce human and technological resources. That’s why case management software (CMS) can be the key to a team’s effectiveness. Given the critical role of CMS, it’s wise to be on the lookout for ways to improve it whether your present software is digital, paper-driven or — most likely — a hybrid. Here’s an overview of what many CMS developers offer to help you and your team produce optimal investigative results. But first, three members of the ACFE faculty with extensive experience in this area offer their insights on the most important factors to consider when evaluating a CMS. “In today’s digitized global business environment, fraud examinations routinely span several countries and involve many fraud examiners and multiple languages,” says Jim Butterworth, CFE, chief security officer at HBGary Inc., a cyber-security consultancy in Sacramento, Calif., and a member of the ACFE faculty. Do you need a special tool to manage a complex, international fraud investigation? Over the last few years, CMSs for fraud examiners have matured, building in necessary communication and analysis capabilities to collaborate quickly and effectively with colleagues across the office, the country or the world. Given all the power under the hoods of these systems, it’s easy to lose sight of their fundamental purposes and strengths. CMSs come in two flavors: those that perform several different functions and those that specialize in just one, such as visualizing. (One form of visualization includes dynamic diagrams of relationships among persons of interest or of their actions and movements during a certain time period.) Practically all the CMSs this series examines are multifunctional and can support most of the activities in complex processes. Perhaps, for example, upon completion of an investigation, a supervisor determines it’s appropriate to refer the case to law enforcement. If you haven’t finished an investigation or plan to keep it in-house, the CMS is still your best tool for sharing information with colleagues and planning the right approach to a case. The CMS also is invaluable to managers for coordinating a fraud examination team’s activities and workload and for keeping senior executives apprised of what they need to know. Of course, varied audiences have varied information needs, so reporting flexibility is a must-have. Say your fraud examination team is considering buying its first CMS or replacing an outmoded one. Once you and your colleagues have completed a needs assessment and developed clear, reasonable expectations of how the CMS can improve performance and results, stop! Your next conversation should be with your organization’s IT staff, not with a vendor. Some challenges don’t require predictions; you’ve probably already encountered them. Several are sure signs of an inferior or outmoded CMS. 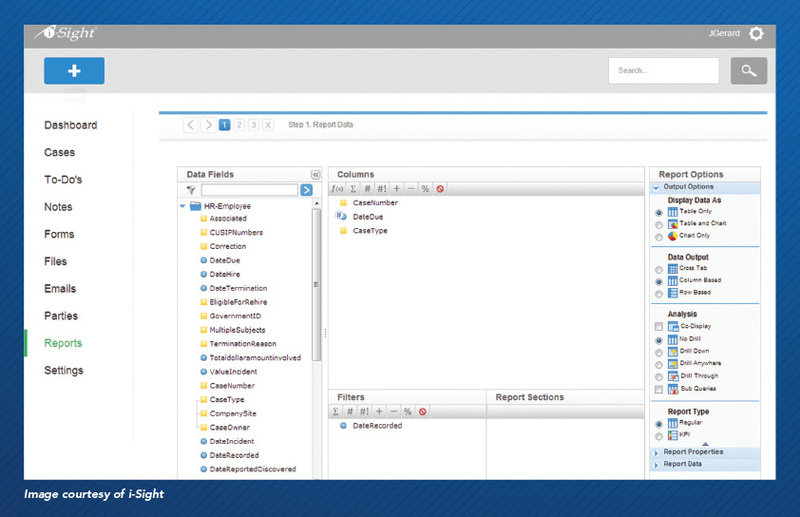 “Your CMS should have an interface so intuitive that you won’t need much training,” Lane says. Other key capabilities include linking to human resources and other internal and external systems as needed and feasible (a complex topic discussed at length in Part 2 in this series), accepting data in a variety of formats (for example, video and audio files) and in every major language spoken wherever your organization does business. Routine but important tasks that someone must perform regularly include creating back-up copies of your data, archiving it for long-term storage and cleaning up unnecessary records that slow down the system. “Easy-to-use tools for performing these functions should be included in the CMS, so that a trained and authorized ‘power user’ can perform them,” Butterworth says. Part 2 of this series will discuss overall system security, data security, managing user rights, complying with records management regulations, system configuration, the finer points of data imports, support and training, service level agreements, performing due diligence on vendors and meeting with vendors. FIS is an analysis system designed specifically for investigators of financial crimes. It can run on a single PC or on your organization’s local area network or Web server. 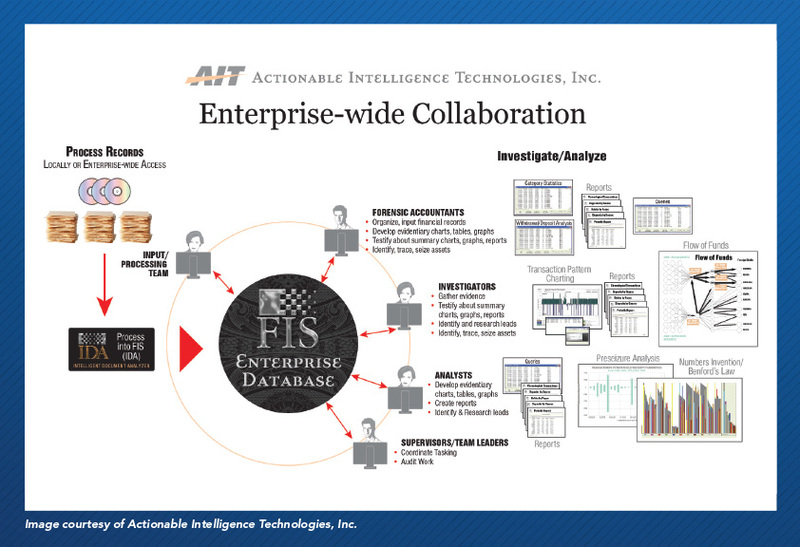 Its strength is applying advanced analytical techniques to large bodies of potential evidence, such as that contained in bank records and other subpoenaed documents you can scan into FIS. Together with other members of your investigative team, you can quickly evaluate the collective evidence, test the validity of your case theory and assess its potential for success in court. This helps identify probably futile efforts in advance and promotes more efficient use of the investigative team’s precious time. Image courtesy of Actionable Intelligence Technologies, Inc.
management among facilities and departments, thereby increasing efficiency and data integrity, as well as linking incidents and their related tasks. D3 also tracks the time your team spends on investigative tasks, recording all activity for each case. And D3’s link analysis tool depicts relationships among people, incidents, organizations and objects of interest. Devesys offers two versions of its case management system. TrakEnterprise is installed on user workstations or on your organization’s server for sharing by any number of users on the network. The Internet-based TrakWeb can support hundreds of concurrent users. Both versions typically reside on your organization’s server with installation help from Devesys, which also offers to host the software on its servers. Both versions help investigators manage their cases and move them to timely resolution. 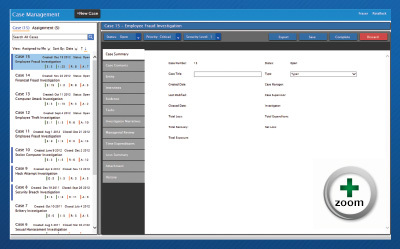 Features include task assignment, monitoring and reminders, dashboard lists that alert you to critical cases, user access controls you can tailor to a staff member’s needs and responsibilities, and chronological documentation of each case’s history. You can install AML Manager on your organization’s server with help from Fiserv, which alternatively can host the system for you. It helps financial institutions comply with anti-money laundering and counter-terrorist financing regulations. Alerts to potential violations can be automatically assigned to investigators, who can prioritize their workload based on criteria such as priority, alert type and monetary value. 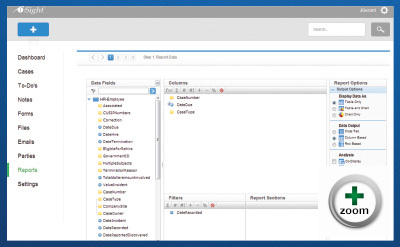 Configurable workflows with specific stages help you complete cases and maintain a full audit trail of changes made. AML Manager supports multiple authorization levels corresponding to the size and organizational structure of individual departments and enables investigators to link cases to the subjects involved in them so future investigations can immediately gain access to that history. 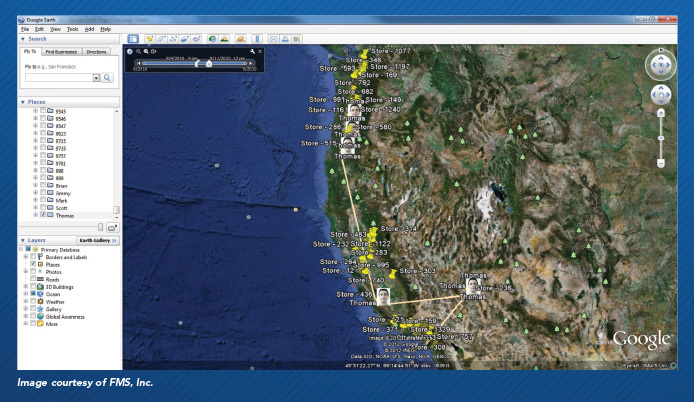 Image courtesy of Fiserv, Inc.
Sentinel Visualizer’s executable (i.e. “exe” program) file runs on your organization’s individual workstation(s). The system’s database(s) reside on your network server, not the Internet. You’d install it like most “off-the-shelf” commercial software. The system makes it easy for your entire team to organize, store and report on numerous types of data and detect relationships among individuals, groups and events mentioned in the data. If the information you’ve collected includes metadata specifying the geographic location of entities, you can view them three-dimensionally on Google Earth with the help of inexpensive anaglyph (i.e., “3D,” stereoscopic) glasses. And if your data includes dates, you can use Google Earth’s timeline feature to chronologically trace a suspect’s travels from location to location. 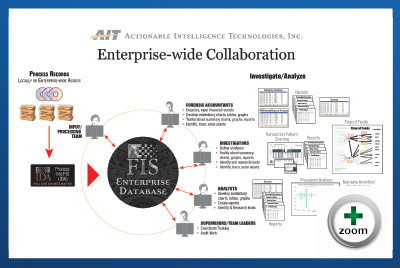 Image courtesy of FMS, Inc.
i2 Fraud Intelligence Analysis with Analyst’s Notebook and Intelligent Investigation Manager most often run on your organization’s network. IBM will install either or both of these programs on your system or, if you prefer, will host them. 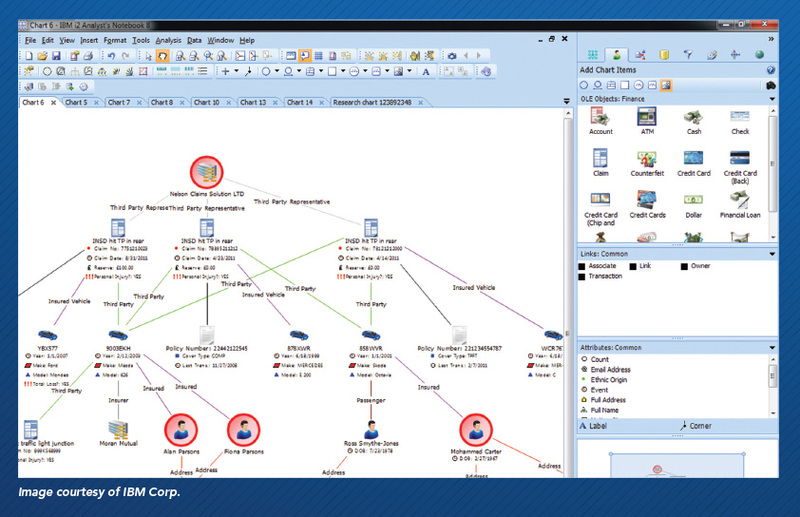 Analyst’s Notebook is a key component in the Fraud Intelligence Analysis module. It helps investigators turn vast, disparate data sets into actionable intelligence. It plots people, relationships, events and objects relevant to the investigation on timelines, activity heat maps and geographic maps or relationship charts. 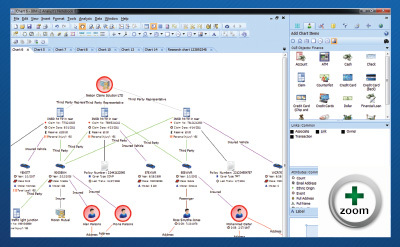 Investigators using Intelligent Investigation Manager can gain insight into relationships among perpetrators or fraud rings and produce easy-to-interpret visualizations of complex cross-channel fraud. Intelligent Investigation Manager also includes investigative tools, content analytics and advanced case management capabilities. Image courtesy of IBM Corp. Most organizations that use i-Sight access it on i-Sight’s servers. For those who want it on their server, i-Sight performs the installation. The system consists of three integrated modules that help you manage your team’s investigations. 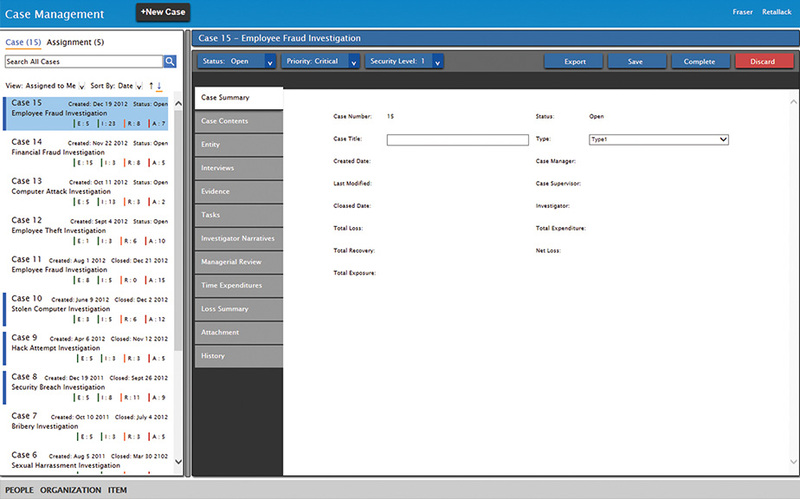 The first module captures information on cases as they arrive. The second contains tools to manage and track the status of investigations, including automatic acknowledgements, notifications, escalations, reminders, task managers and follow-ups. The third module provides user-defined reporting capability. 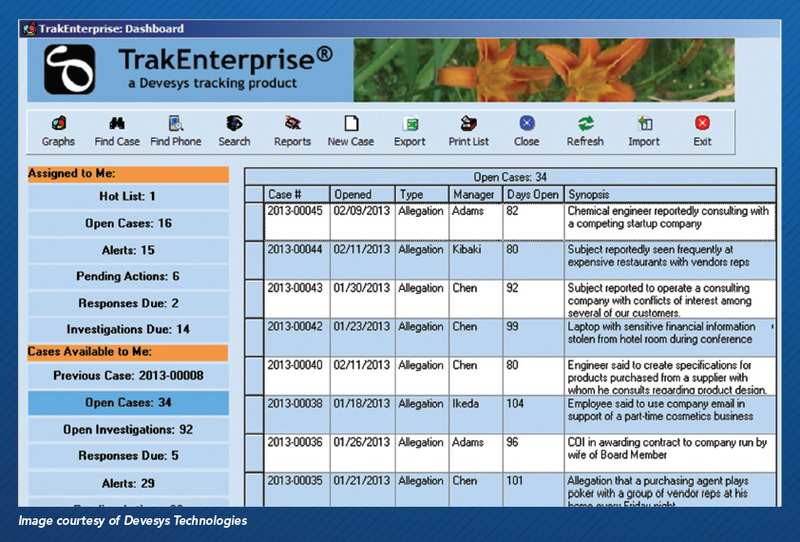 Its aggregate reporting tool gives team leaders overall insight into how well investigations are progressing. And because i-Sight is optimized for mobile devices, traveling investigators with Web access can log in anytime, anywhere, to update their files for supervisors and wrap up cases faster.